Yes, We have a USDA permit to ship Monarch Butterflies for release to Georgia. Georgia has an average temperatures above 62°F from Mid March through Mid November. You may safely consider having a Georgia butterfly release anytime the outside temperature is above 62°F and there is no possibility of a hard freeze in the forecast. Enjoy turn of the century allure with contemporary amenities at this National Historic Landmark. 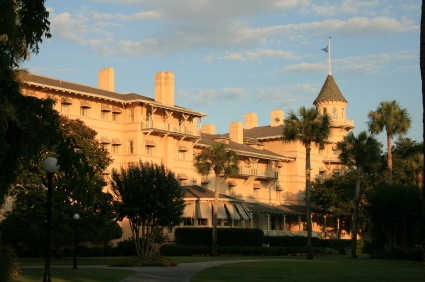 The Jekyll Island Club Hotel was once the exclusive playground of the elite, but now is a reasonably priced Vacation Resort. Mr. Butterflies provides Live Monarch Butterfly for release in Georgia at all kinds of different events. Consider having a Butterfly Wedding, a Butterfly Funeral, a Butterfly Memorial, a Butterfly Birthday, a Butterfly Graduation or just a Butterfly theme party.